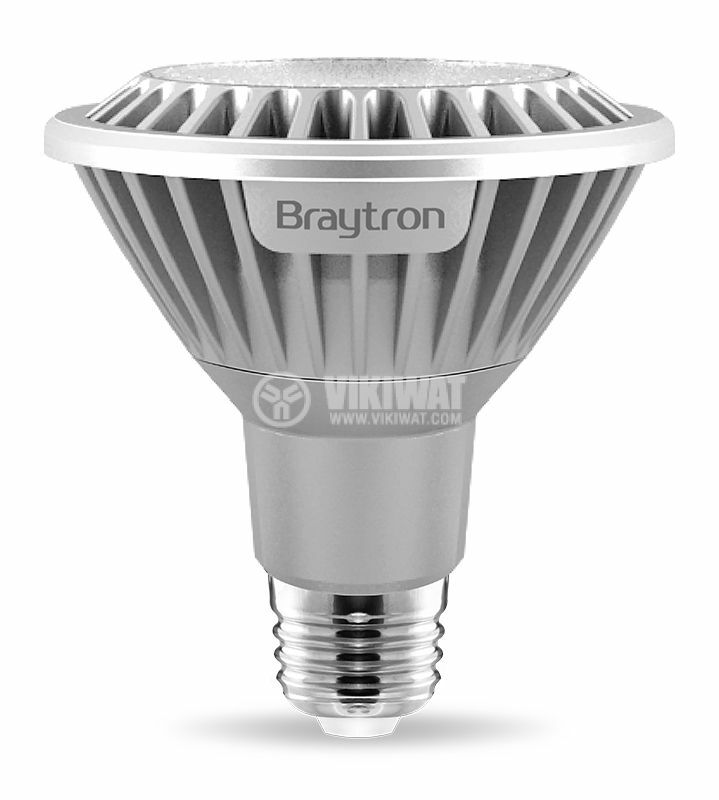 Directed, LED bulb PAR30 from Braytron with E27 base, 14W wattage and 1050lm luminous flux. It offers soft, warm white lighting. 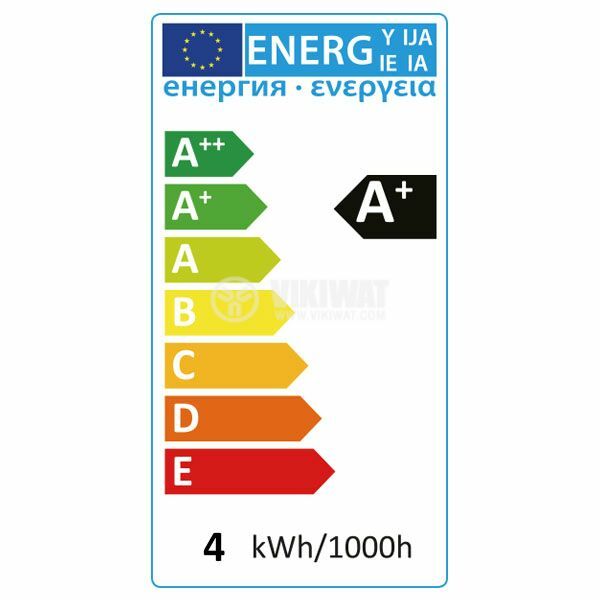 Suitable for residential buildings, hotels, fashion stores. 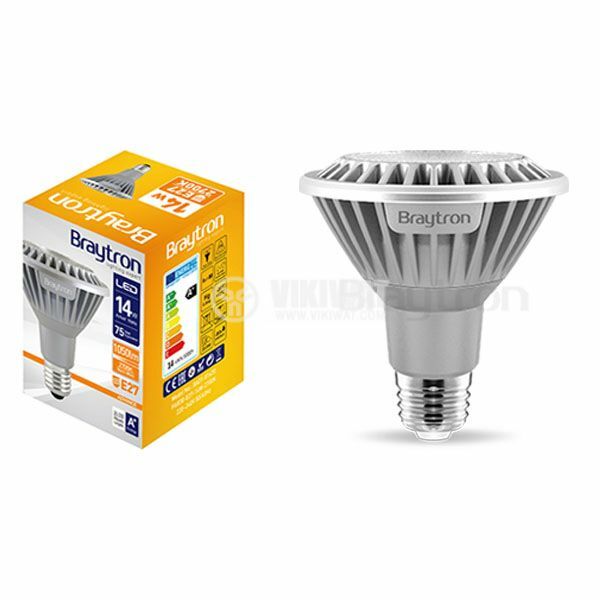 Replacement for traditional light bulbs up to 75W. Beam angle 38°. Non-dimmable. For indoor use only. Warranty 2 years. 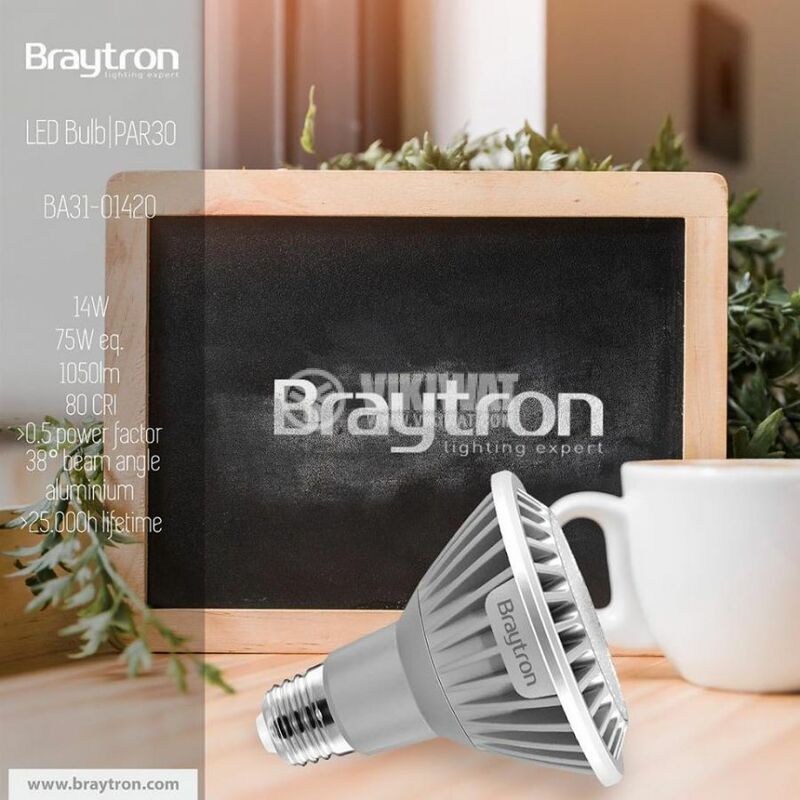 In addition to the lower power consumption compared to energy-saving and incandescent lamps, this 14W LED bulb offers better light quality and longer life. It lights up instantly without the need to warm up and is safe as LEDs emit very little heat which reduce the risk for burning fingers. 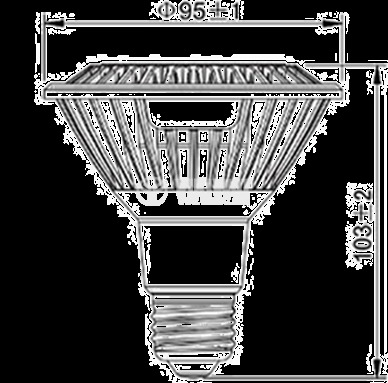 Thanks to its beam angle, PAL lamps are suitable for accent lighting in home, office, shops and others. 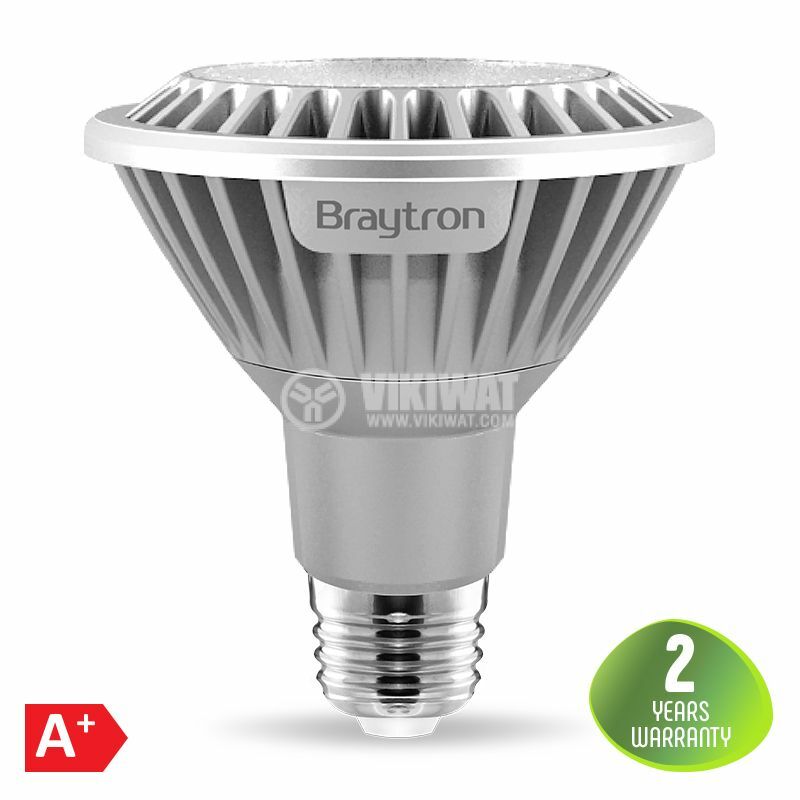 BA31-01420 LED lamp (PAR30) is NOT dimmable. If it is used with a dimmin device, it will be irreparably damaged.